Photo courtesy of The Halloween Journey. Children at Cara Cruickshank's Halloween Journey. If you’re looking for a unique way to celebrate this Halloween, look no further. Interweaving poetry and theatre, the widely acclaimed Halloween Journey is not a fright event, but rather a celebration of regional folklore, history, and ecology with an emphasis on the mystery and magic of the season. The Halloween Journey is the brainchild of Hudson Valley native, former Broadway actress and educational youth program director Cara Cruickshank and a group of local mothers who wanted a safe, fun, and affordable way to celebrate Halloween in the Catskills. They wanted an all ages outdoor event that promoted wonder, not fright. Within the first year, 130 community members of all ages attended, and by the seventh year that number grew to 400 children and adults. After a hiatus, Cruickshank is returning to Big Indian from Paris to direct the event’s two-night performance. The evening will begin with a bonfire, live folk music, hot apple cider, homemade chili, and seasonal treats. 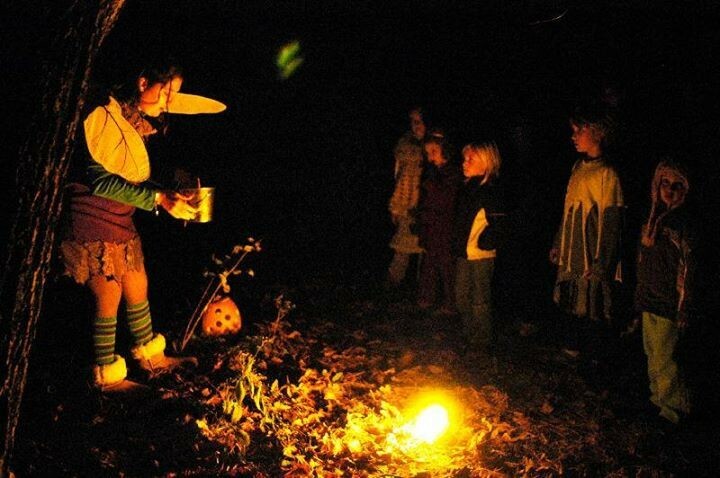 Next, attendees will be led into the forest by candle-light to encounter legendary characters of Catskill history and folklore. Rip Van Winkle, Sojourner Truth, Catskill poet John Burroughs, fairies, animal spirits, and other fanciful creatures will be brought to life. Their respect for nature will be shared as well as an inspiration of wonderment and appreciation for the treasured Catskill region. The Halloween Journey is presented by Cafe de la Culture in partnership with The Pine Hill Community Center, The Catskill Center and 100 Thousand Poets for Change. The magical and mysterious celebration will begin on October 27 and run through October 28,5-9pm. Early bird tickets are available before October 20. General admission tickets will begin after October 20.